Donivee Nash's gorgeous Arcadia garden was described as having “park-like graciousness” in the Garden Conservancy’s Open Days directory (May 2013). 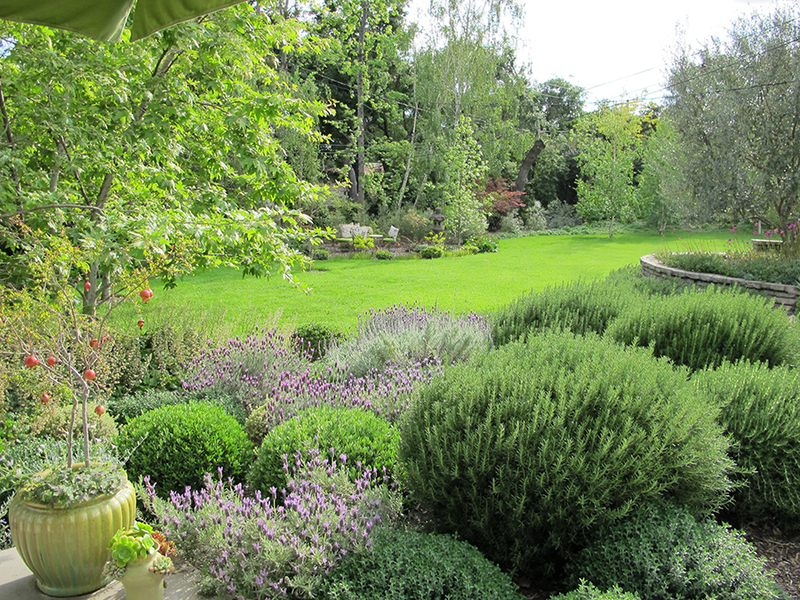 Designed by renowned garden designer and SCHS member Judy Horton, the garden flows among varied groupings of greenery and colors, lawn and groundcovers, salvias and succulents, woodland trees and fruit trees, perennials and vegetables, terraces and expanses. Carefully collected specimens abound in-ground and in containers. The pathways are a delight to wander, with gathering areas and private nooks. Donivee promises lots of fall color as well as last flushes of perennial blooms during our visit. Deadline for registration is Friday, October 25. Donivee’s Garden is located in Arcadia. Once you sign up, we will contact you with directions.